Many small business owners have considered different ways to get funding to grow a business. Even if you were able to use your own savings to start your business, you might grow it to a point where you need access to more funds. That’s where business credit scores come in. As a business owner, you probably know that your business credit score is important, but not everyone fully understands how they work. In this article, we’ll walk you through what goes into your business credit score, how to monitor it, and how to raise it so you will be in a better position to qualify for various types of funding. A business credit score is similar to a personal credit score. Credit reporting agencies use various methods to calculate creditworthiness, including your number of trade experiences, outstanding balances, payment history, and more. Your business credit score comes down to a single number, ranging from zero to 100. Most small business lending companies require a minimum business credit score of 75. 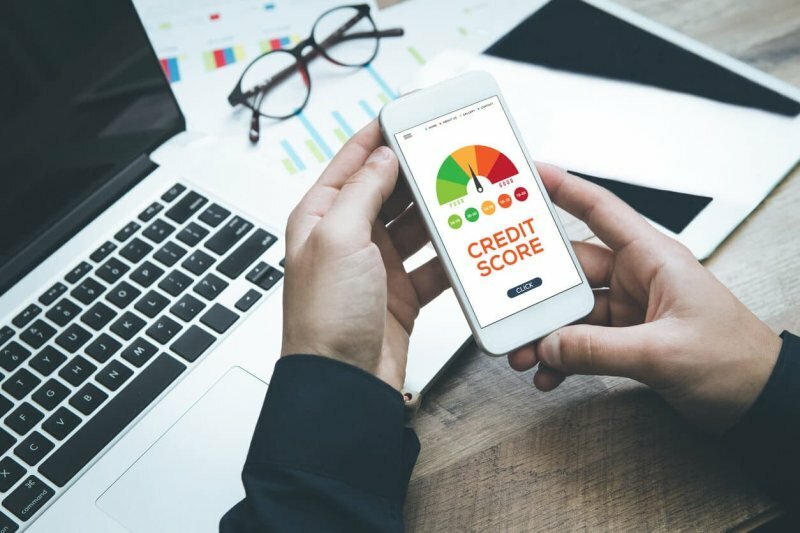 Some online lenders and fintech financers don’t require a certain credit score to consider your application, but the higher your credit score, the more money you are likely going to be able to borrow. A low business credit score could make it much more difficult for you to borrow any money at all. As a side note, you should know that an increasing number of lenders and fintech financers are looking beyond credit scores (to multiple new data sources and things like invoices and transaction history) when approving business financing. Today, there are more options than ever for business owners to find capital. That said, your credit scores do remain an important part of the picture, so it is to your benefit to maintain them as well as you can. Most start-up businesses have to rely on personal credit for initial financing and use personal assets like homes for collateral. If you can, though, it’s a good idea to establish and track your business and personal finances separately, as quickly as possible, to help simplify your taxes and reduce your financial risk. One way to keep your finances separate is to keep your business expenses on a business credit card. You can also maintain separate business and personal financial records, tax information, and keep your insurance coverages separate. This will make things like accounting and taxes simpler in the long run. What Factors Affect Your Business Credit Score? Your score is assigned to you based on a number of different factors. The amount of time you have been in business can contribute to raising your score. You can’t speed up time, of course. You just need to be in business longer and wait for this factor to affect your score. If your business is bringing in annual revenue, that can have a positive effect on your score. Having physical business assets, such as property, is likely to raise your credit score. The loans and credit cards you currently have can also impact your score. If you are using credit responsibly and paying it off on time, this will have a positive impact and will make you more likely to get approved for a loan if you apply. If you have personal and business credit, or have taken out loans in the past and have been consistent about paying them off in a timely manner, this can also make you more attractive to lenders. UCC Filings and other reports, including any liens and judgments against you, can affect your score. Lenders will view riskier industries like bars and restaurants differently based on historical data of how similar businesses have performed in the past. Most of the time, lenders will consider both personal credit scores and business credit scores, so it’s a good idea to make sure both are in good standing. Your business credit history also stays with you from one business to another and records can become inaccurate over time, so it’s smart to keep your own detailed records from all of your past businesses. We recommend that you contact each of the three major rating agencies and Dun & Bradstreet. You can obtain a copy of your D&B report by contacting them directly. Get your Experian business credit score here. Get your Equifax report here. You can take a variety of actions to improve your business credit score. It boils down to creating good credit relationships with business lending agencies, suppliers and customers. Making sure to pay all bills on time or earlier and paying special attention to payments on secured assets that have UCC filings associated with them. Taking on debt to establish a solid track record of paying it back on time. Only using about 25% of your credit line. Avoid maxing out on credit card limits. With some planning and strategy, small business owners can make a big impact on their business credit score in order to be in a good position to get more funding down the road. It’s never too early to start thinking about putting some of these practices into place in order to make your financial position more secure. Every business owner should work hard to establish business credit, maintain a good business credit score, and keep their FICO score as high as possible. Regardless of the financing you choose, these factors can help you secure capital for your business when you need it, on the most favorable terms possible.